The Rewind Forums (NEW) • View topic - What did you watch today? An ambitious but conflicted young swordsman (Ti Lung) is seeking fame and glory to become the King of Swords in the martial world. 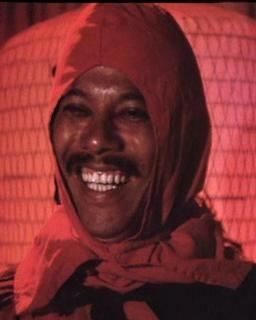 To claim the title, he has to defeat the King’s master swordsman and Palace chief instructor. His quest for fame is caught in a quandary when he falls in love with a young maiden. 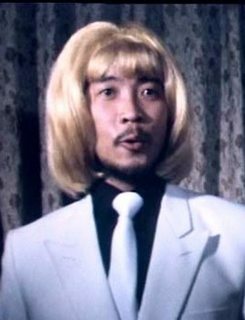 Hua Shan (Super Inframan, Kung Fu Zombie) directs. Ku Feng (The Avenging Eagle, Killer Constable) co-stars. Worth watching? Yes, if you like Shaw Brothers wuxia movies. Worth re-watching? Yes, for fans of Ti Lung and Shaw Brothers wuxia movies. Bottom-line? An engaging wuxia drama with an unusual plot. Three disciples of ninjutsu decide to leave their clandestine Ninja Empire, which is led by a Supreme Ninja, and steal a three-part Golden Ninja Warrior – a statue that gives impervious power to whoever worships it. Tension escalates as the statue can only perform its full power if intact and the Supreme master’s killer ninjas are on the loose to regain it. When one of the three disciples is killed, the ultimate fight for possession of the statue between the remaining two defectors and the Supreme Ninja henchmen begins. It's actually difficult to write a coherent synopsis for a movie of this caliber! The more you watch, the less you understand. Another Godfrey Ho’s cut-and-paste two-in-one film, and this time you get a mish-mash of his ninja footage exclusively shot for this film with a forgettable 70's South Korean action-fu film. With eccentric faces like these, how could you not be fully entertained! The red and the black: Kong Do and...? A secret agent skilled in ninjutsu (Romano Kristoff) is assigned by the CIA to retrieve a formula that produces massive amount of LSD stolen by a mysterious ninja. 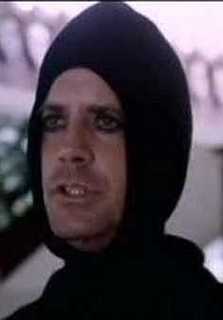 There isn’t much force to feel in this 80’s B-ninja movie. This is not Godfrey Ho’s cut-and-paste ninja production but an equally bad Filipino production called Silver Star Film Company notoriously known in the mid-80’s for its trashy low budget Vietnam War action films. The company had a regular cast of actors – Richard Harrison, Rom Kristoff, Mike Monty, Jim Gaines, Don Gordon Bell – who played more or less the same roles in the different movies the company churned out. 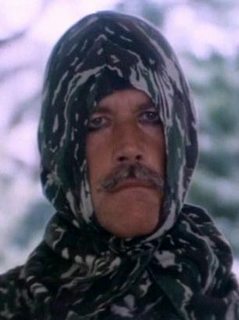 One thing that differentiates Silver Star movies from those of Godfrey Ho’s is that at least their movies are not cut-and-paste! Worth watching? Yes, if you have a penchant for eccentric 80's bad action movies. Worth re-watching? Yes, only for 80’s B-ninja movie fans. Bottom-line? 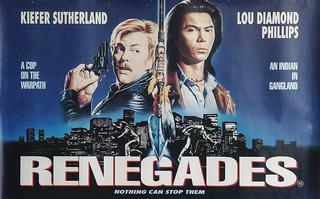 Highly recommended for fans of action-packed 80's trashy ninja movies. Last edited by Davy_Lee on 14 Jul 2018 02:45, edited 1 time in total. A tough uncompromising cop (Merli) goes his own way to arrest an organized gang of armed bank robbers led by a hunchback (Tomas Milian). Quite entertaining Eurocrime action thriller with a superbly catchy score by Franco Micalizzi! Umberto Lenzi directs. Not on BD. An Italian cop (Merli) goes to Brooklyn escorting an assassin, and prime witness, to testify against an elusive Italian mobster who had his rival gunned down in Corleone. What seems like a simple task of extradition becomes a real nightmare for the cop as the mobster has set up traps along the way to eliminate him. 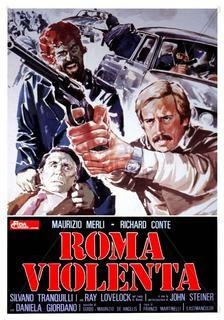 Quite entertaining Eurocrime action drama with another good original score by Franco Micalizzi. Umberto Lenzi directs. Not on English-friendly DVD and not on BD. Fed up by the failing criminal justice system that governs the city of Rome, a police commissioner (Merli) is forced to resign from the police after intentionally killing, instead of arresting, a cornered robber on site. 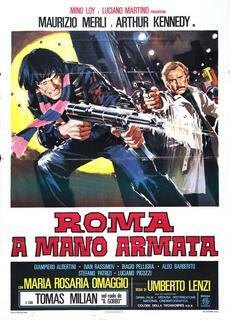 Now a trained civilian, Commissioner Betti joins a group of vigilantes to cleanse the streets of Rome plagued by crime. Entertaining, fast-paced Eurocrime action thriller. The first of the Commissioner Betti trilogy. Richard Conte (The Boss) and Ray Lovelock (Meet Him and Die, Live Like A Cop Die Like A Man) co star. Commissioner Betti returns to the force and is transferred to Naples. 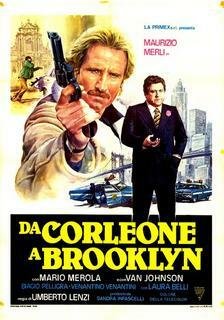 This time he confronts the General, a powerful mobster who runs a protection racket in the city. Exciting Eurocrime action thriller with a catchy score by Franco Micalizzi! The second of the Commissioner Betti trilogy. Special Cop in Action a.k.a. Italia a Mano Armata is the final chapter, and is as good as the second one. John Saxon and Barry Sullivan co-star. Umberto Lenzi directs. Worth watching? Yes, especially Violent Rome and Violent Naples. Bottom-line? 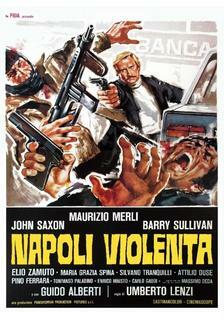 For fans of Maurizio Merli and the Poliziotteschi subgenre. A no-nonsense narcotics cop (Whoopi Goldberg) is fighting a war against the criminals who are selling a lethal form of cocaine that has been claiming the lives of the users in the streets of Los Angeles. One aspect of the movie that stands out is the violent shootout scenes, which I like. Sam Elliot co-stars, Tom Holland (Fright Night, Child’s Play, Thinner) directs. A middle-aged New York businessman (Jack Lemmon) goes to a South American country in search of his son and journalist who has disappeared during a military coup. With his daughter-in-law (Sissy Spacek), the father begins a desperate search for the truth. Based on real life events / a true story. Costa Gavras (Betrayed, Mad City, Music Box) directs. Michael Caine is Noel Holcroft, a successful German-born New York architect who unexpectedly learns that he is the trustee of $4.5 billion inherited by his father, a Nazi officer, to be used to make reparation to the survivors of the Holocaust. Unaware of being thrust into a web of international intrigue, Holcroft soon becomes the target of multiple parties – government agents and assassins – who are after the vast fortune for their own elusive purposes. John Frankenheimer directs based on Robert Ludlum’s novel. The plot is rather convoluted, which makes the whole story rather unconvincing and unexciting. Peter Miller, a freelance journalist and photographer in Hamburg stumbles on the suicide scene of an elderly Jewish man, a survivor of the Nazi concentration camp, who left behind memoirs about his days of incarceration in a Polish concentration camp during WWII. Intrigued by the disturbing facts revealed in the memoirs, the inquisitive journalist decides to begin a private investigation which brings himself to infiltrate and uncover a secret organization of former Nazi SchutzStaffel (S.S.) officers called Odessa that is planning to launch missile attack on Israel. Ronald Neame (The Poseidon Adventure, Meteor) directs based on Frederick Forsyth’s novel. Jon Voight stars. Maximilian Schell (Judgment at Nuremberg, A Bridge Too Far, Cross of Iron) co-stars. The Odessa File makes an entertaining “Nazi hunter double feature” with The Boys from Brazil, which I like even better. A renegade ex-Air Force general who was convicted of murder (Burt Lancaster), with three fellow prisoners (Burt Young, Paul Winfield, William Smith), escapes from a military prison and, after overriding the fail-safe mechanism, takes over an underground nuclear silo. They demand ten million dollars, a safe getaway passage to a country of their choice, the President held as a hostage during their getaway and a nation-wide release of confidential documents that reveal the truth about the US involvement in the Vietnam War. If their demands are not met, the general threatens to launch the missiles at the Soviet Union that will inevitably start WWIII. Charles Durning, Richard Widmark and Richard Jaeckel co-star. Robert Aldrich (What Ever Happened to Baby Jane?, The Dirty Dozen) directs. The extensive use of split-screen heightens the tension of this rather lengthy but quite suspenseful political thriller. Overworked Wall Street yuppie (Peter Weller) must get rid of a pestering huge rat that is slowly destroying his classy New York town-house. When all his repeated attempts fail, he devises a desperate plan to end the rodent terror. George P. Cosmatos (Rambo – First Blood Part II, Tombstone) directs. Shannon Tweed co-stars. Bottom-line? The plot becomes repetitive halfway through the movie and the climax over-the-top. If it was made as an episode of The Twilight Zone, not a 90-minute feature, it would be more entertaining. An undercover detective (Kiefer Sutherland) teams up with a native Indian civilian (Lou Diamond Phillips) to track down a gang of diamond thieves. Jami Gertz (The Lost Boys) co-stars. Jack Sholder (The Hidden) directs. Last edited by Davy_Lee on 22 Jun 2018 04:30, edited 3 times in total.